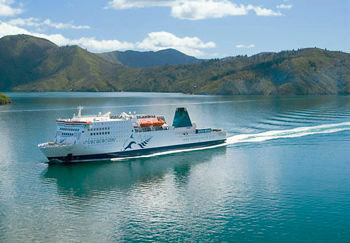 The Kaitaki is the largest vessel not only in the Interislander fleet but on also New Zealand waters. The ship carries 1,650 passengers and has 1,780 lane metres for vehicles. This sumptuous sailing service has cabin options, so you can kick back and relax or even get some shuteye while on your voyage. If you upgrade to Kaitaki Plus you have the added bonus of extra luxurious seating, Sky TV and complimentary food and drink, amongst other perks. If you haven’t upgraded there is still a high quality service on offer. There are a number of choices of where to eat and drink, from eating with an ocean view to classic café meals. There are amusements for both young and old, with the onboard Movie Theatre and Children’s Play areas. Shopping facilities are available along with a Bureau de Change. There is also free WiFi for all passengers. Cabins are available for you to lie back and relax during your voyage. 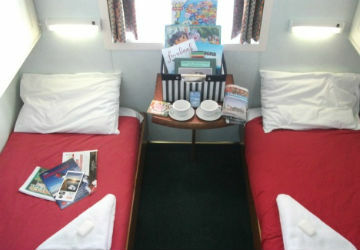 The cabins are four berth and all come with en suite facilities. The rooms are fully serviced with towels, linen and soap for you to stay refreshed. 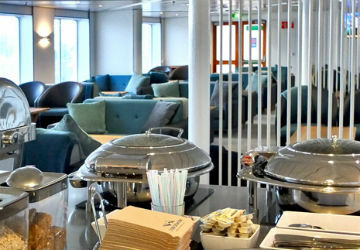 Included in the price are two vouchers for complimentary hot beverages and also board games and other forms of entertainment to help you and your family while away the hours during your crossing. 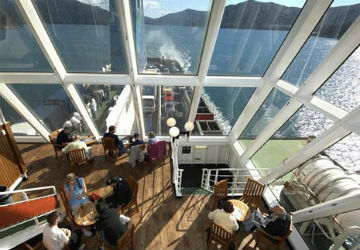 Kaitaki Plus offers another luxurious and comfortable option when travelling between the New Zealand islands. Your ticket gives you exclusive access to comfortable seating, Sky TV, newspapers and magazines as well as complimentary food and drink. This includes a cooked breakfast or hot lunch depending on your time of sailing. A number of eateries and bars are at your disposal during your crossing. 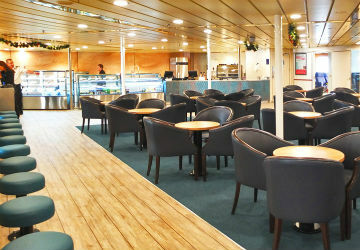 The café on Deck 7 serves a wide range of authentic food, including cakes, pastries, sandwiches and paninis. 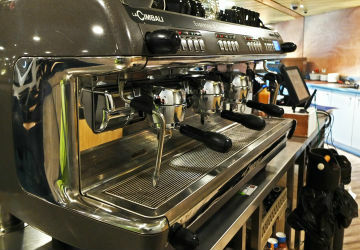 The coffee counter offers delicious barista made drinks, including espresso, cappuccino, latte, flat white and the usual favourites. On Deck 8 you’ll find the Ocean View Eatery, where you’ll be able to sample a delightful selection of snacks and meals whilst overlooking the crystalline waters. 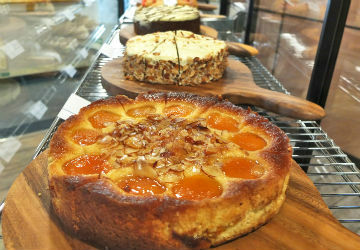 Also on the same level is the Local Heroes Bar and Café. 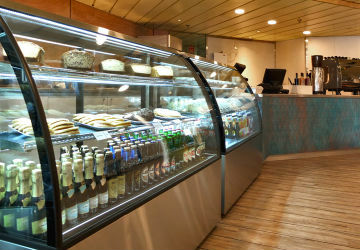 This is where you can enjoy local wines, beers and spirits as well as your normal café culinary delights. 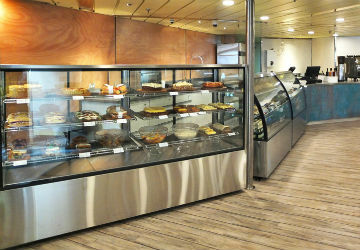 A great range of products are on sale aboard the Kaitaki. The shop is stocked with souvenirs, newspapers and magazines, sweets and postcards and stamps. You can also get your hands on cinema tickets for the latest movie releases being shown in the theatre on Deck 2. There are a number of additions that will help you enjoy your journey. The Movie Theatre shows the latest movie releases, with showings suitable for all ages. Local bands and performers are often used onboard, including magicians and clowns for younger passengers. A Bureau de Change is available for any passengers who need to exchange some last minute currency and free WiFi so you don’t have to fall behind on work or lose contact with friends and family. Young passengers will not get bored on their voyage with a variety of options to suit all ages. The Family Lounge is equipped with a preschool play area and Disney Playhouse Channel showing on television screens. On Deck 2 there is a bigger play area for slightly older children where they can climb, slide, run around and burn off energy. 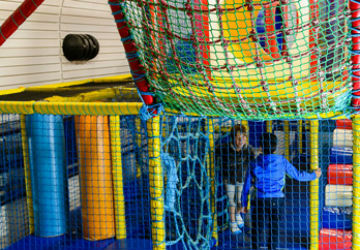 Families also have the option to use the nurseries in the four cabins that include cots and changing facilities, ideal if you are travelling with babies and infants. The Kaitaki is the biggest and most accommodating ship in the Interislander fleet. Despite amenities being spread over a number of decks most are easily accessible. There are two lifts between Decks 3 and 5, and Decks 7 and 8. The roof viewing area is only accessible by stairs but all major facilities are available. Please Note: Whilst we have taken great care in making our Kaitaki guide as accurate as possible, onboard facilities, services and entertainment may vary depending on the date and time of year that you travel, facilities mentioned may change without notification and ferry companies reserve the right to operate vessels other than those mentioned at time of booking without prior notification.